forgive me if this was mentioned already! amy and nick act just like leslie and ron. it's weird, lol. jklmnop and themildone like this. @jan was it you who mentioned Melanie Berg awhile back? I just saw this and am now crushing on its elegant simplicity. Pretty! No, I haven't seen it before. I had thought of making a shawl before winter....but at the rate I'm knitting - if I could just finish the sweater! 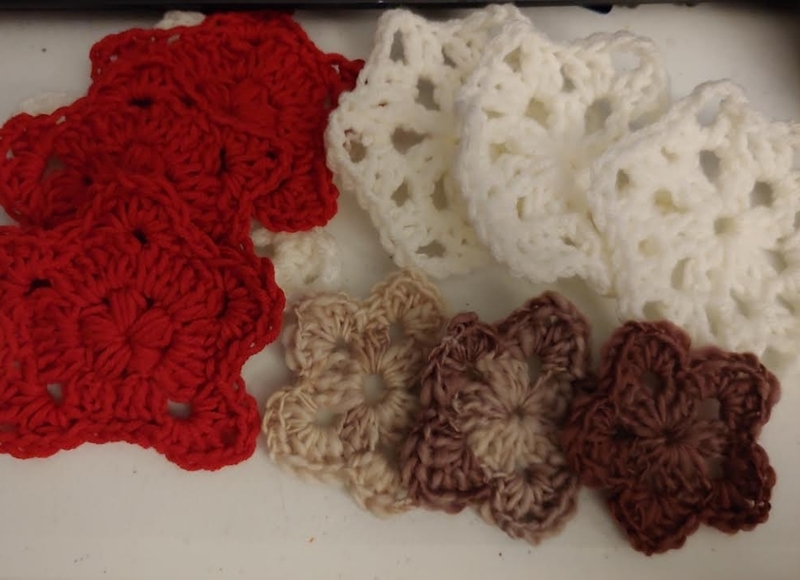 For years I didn't get why people would make little stuff out of crochet. It just seemed like such a waste of time given that you have to weave in all those ends and stuff. 10 tabs of christmas garland patterns (and realizing I could just use the hook to weave in the ends) later and I am hooked on these damn things. I even got out some unplied handspun singles for 'em. The tree is gonna be covered with these soon! Turtlefemm, jklmnop and jan like this.